On specific Town and Country/Voyager/Caravan applications, the rear expansion valve retaining hardware is reusable from one repair to the next. With age/road grime, salt and wear/tear, the hardware can become chemically bonded to the evaporator pipes. 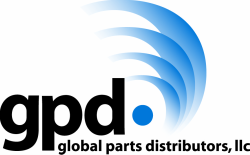 The gpd rear expansion valve hardware kit can be used to replace the unusable OE version.